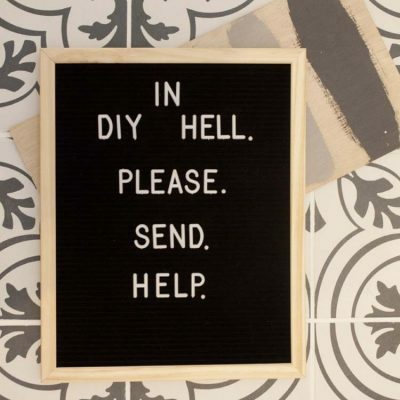 This post, Farmhouse Style Organizing Ideas, is sponsored by Hobby Lobby. Thank you for supporting the brands that make Southern Revivals possible! 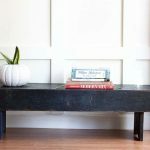 Just after we finished the DIY Faux Shiplap in our dining room I immediately realized that it was exactly what was missing in our boys’ hallway. After adding the shiplap, and My Top 3 Under $20 Makeovers were complete, that side of our house was mostly done. There was just one small space in the hall, that awkward corner, left. It’s one of those spaces that’s too big to be left empty and too small to accommodate much. It turned out to be the perfect drop zone for shoes, book bags, jackets and such. 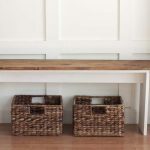 It was also the perfect place to incorporate some farmhouse style organizing ideas because organization is best when it’s pretty. 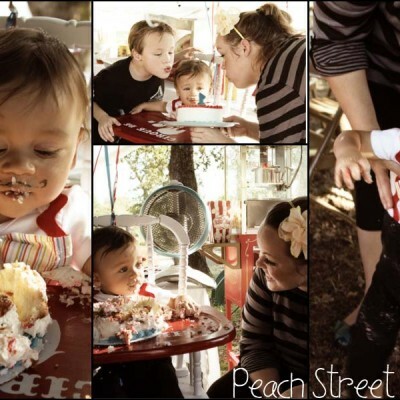 Here’s how I did it, with the help of Hobby Lobby, for under $100 bucks! 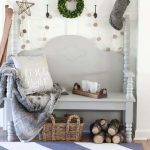 First, you should know that prior to the holiday season I built a little farmhouse bench out of scrap 2x4s and a 1×2 left over from other projects. From there I was kind of stumped. Because we made the bench ourselves it accommodated the space perfectly. But I knew that since this little nook sits at the entrance to our hallway I had to be careful not to make the space feel cramped or have something sticking out too far from the wall. Still, I need the space to serve a purpose. The week I was shopping at Hobby Lobby all metal and wood decor was 50%. It pays to know what’s on sale each week! I opted for a wood and metal basket (with leather handles!!) to corral clutter, like shoes, for under the bench. 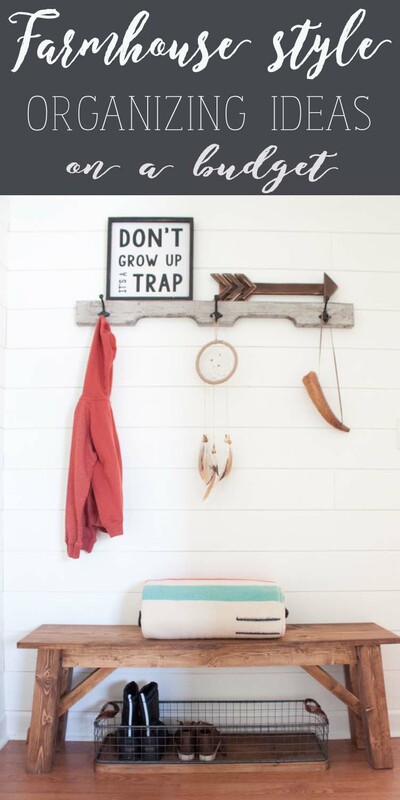 The Don’t Grow Up sign because it’s my mantra and the wooden arrow because…arrows. 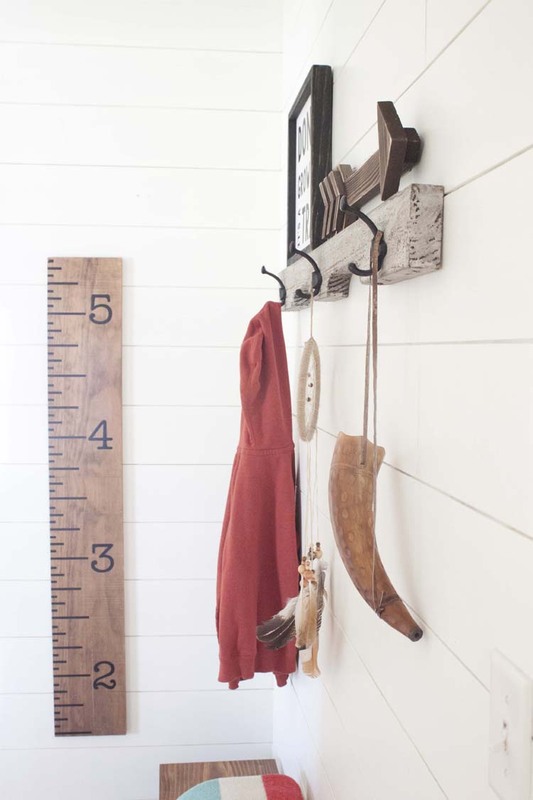 And then I finally got myself one of these wooden wall rulers because I. have. always. wanted. one. 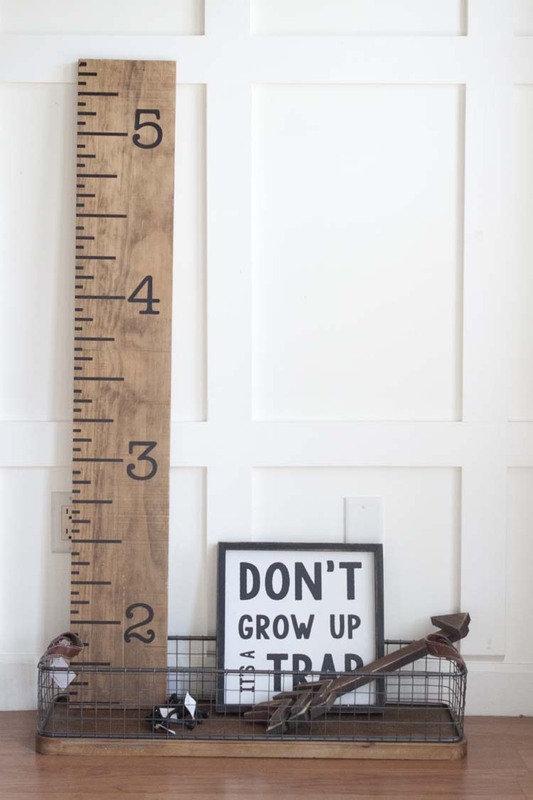 And it’s perfect for the boys’ hallway. 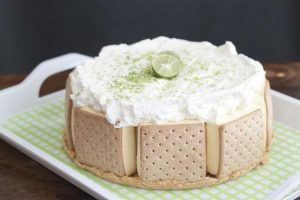 Visit: Hobby Lobby.com for these finds and more! 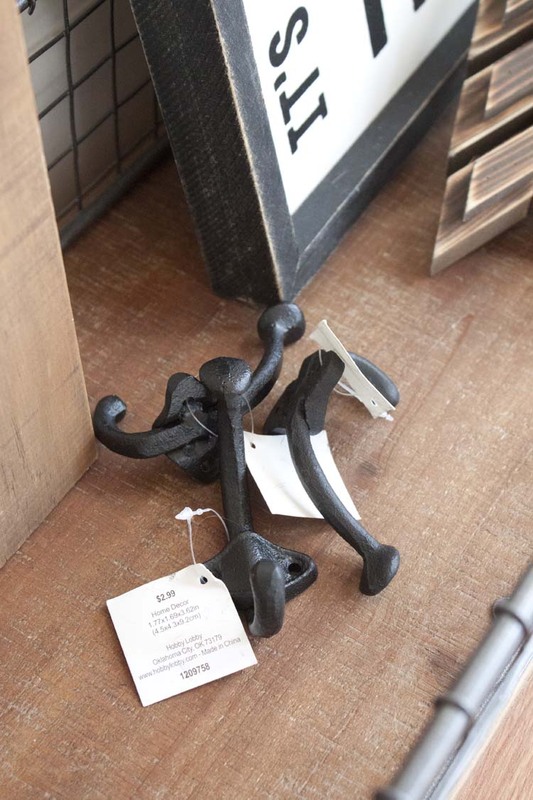 Metal Hooks (3) – 50% off = $1.50 ea. I also picked up some cast iron-style hangers. Thing is, I wasn’t exactly sure how I was going to hang things in this hallway (that whole, hit your head on the corner of a shelf thing) but I knew that in order to be truly functional this space had to have a hanging space. I can’t wait to tell you how I finally came up with this shelf/hanger idea. 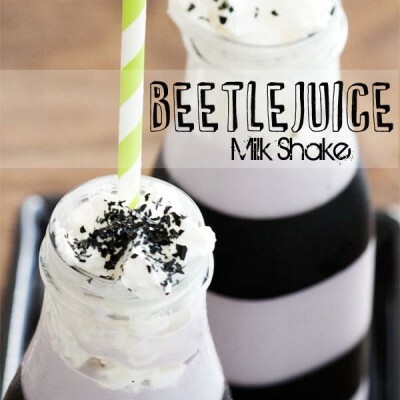 It might just blow your mind! 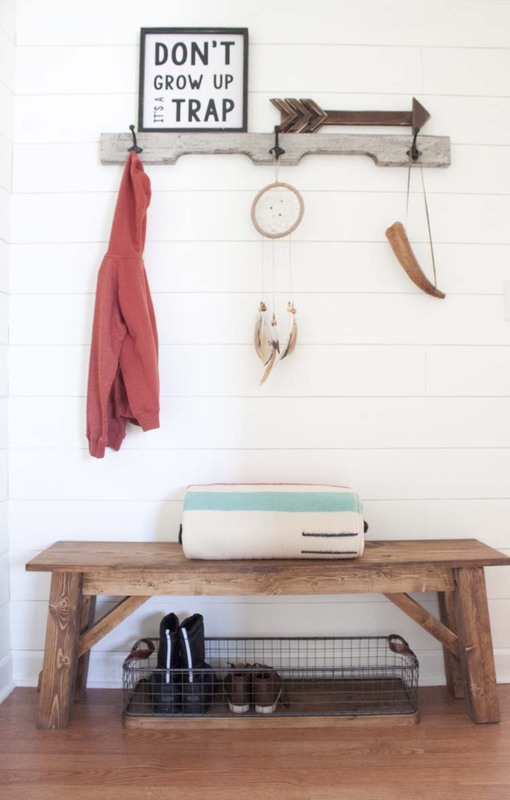 But before I do, here are my top 5 farmhouse style organization ideas (and decor) for small spaces like this. If you have a bench, you may as well have a basket otherwise the space beneath is essentially wasted. 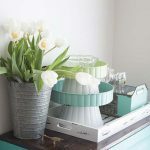 Plus, when a basket is this pretty it serves a purpose and it adds to the style of your space. 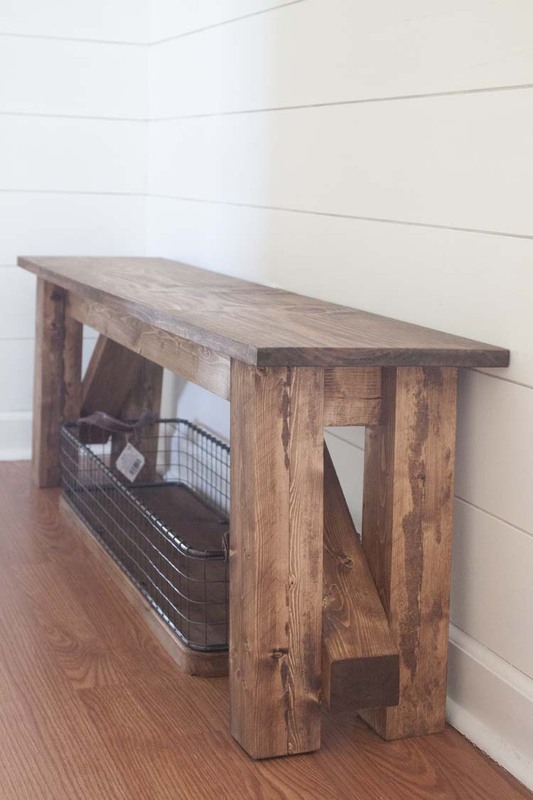 Any decent farmhouse has a plethora of benches. 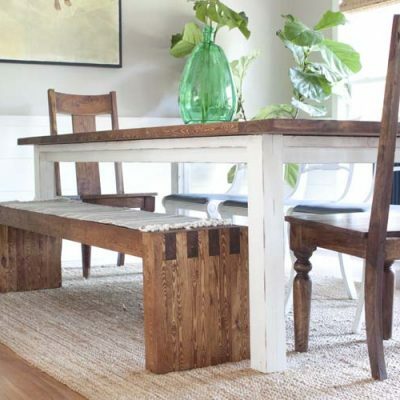 If you’re unable to DIY your own, find one that fits the depth and width of your space. 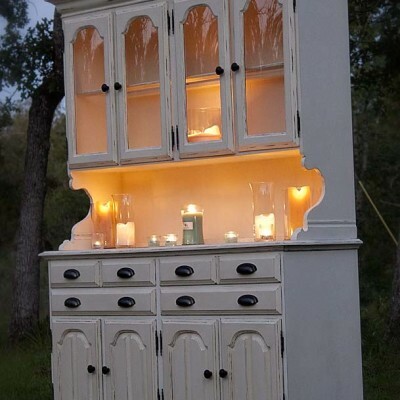 But also pay attention to its height, what you plan on placing above it and who will be using it. Something too short may not work for adults and something too tall won’t work for kids. 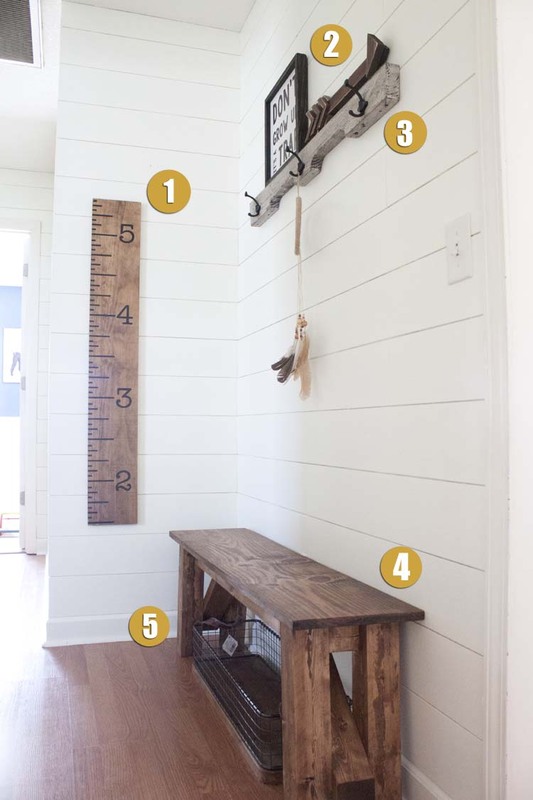 And since the height of your bench correlates with how high you’re able to hang things above it, it’s definitely something to think about when planning your space. Are you ready for it? For years I’ve taken apart pallets and used the boards to create everything from signs to furniture. But one day it finally hit me, what about those supporting pieces I’ve just discarded all this time? That’s right, folks! This shallow (in the best way) little beauty of a “shelf” is simply one of the supporting pieces of a pallet. I simply stained it, painted it and then distressed it a little. I added the hooks and secured it to the wall through the studs. It’s the perfect depth to be a shelf without being so deep that I had to worry about anyone running into it. Plus, it adds interest and it’s functional. This shelf works because it’s functional and it isn’t so deep that it encroaches on the space needed to keep the hall functional. But it is just deep enough for a couple of decorations to help to finish off the space. Since this space is essentially a two wall nook, it had one wall space at the end of the bench that was blank. I opted for a long wall hanging here. In my case, it’s a long wooden ruler but anything with length would do. I opted not to go with another sign since having two in the same space might leave them competing for attention. It’s set off-center on the wall to keep it from going down behind the bench. It finishes off this blank space perfectly plus it’s one of those things I’ve always wanted but never got around to DIYing for myself. 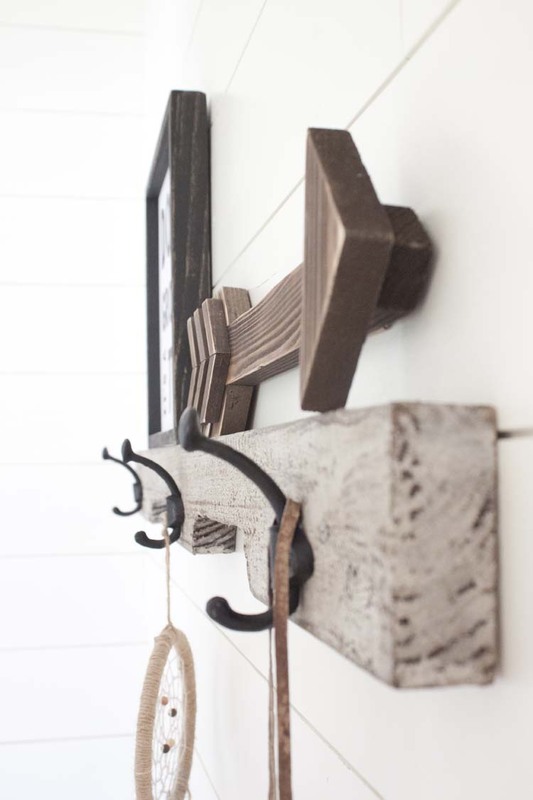 Another key to a well put together farmhouse-style space is a monochromatic pallet. In this case, white, black and a natural wood tone. A pop of color here and there with textiles but all in all the interest comes from the different textures. 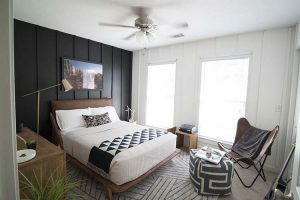 I truly believe the reason farmhouse style is so popular, along with the concept of Hygge (Hoo-gah), is the fact that it’s laid-back and simple but still very beautiful. And we could also use a little more simple, am I right? Plus, it’s functional or useful. 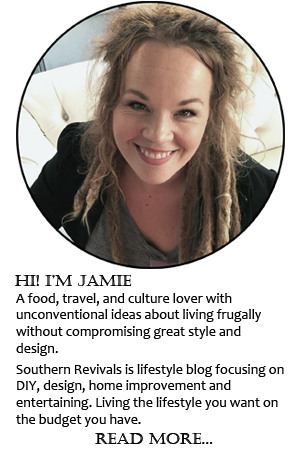 What good are style and design if you can’t really benefit from using them! Be sure to check out this week’s Hobby Lobby circular to see what’s on sale and don’t forget your coupon!